Can You Pitch Too Much? Q1: Is there a such thing as too much pitching at 8-9yo? Don’t want to hurt her, she says she’s fine so thought I’d ask. A1: Nah! I really don’t think so! There’s not enough force on her arm quite yet! Just make sure you’re practicing all the right mechanics and focusing on detail with all those reps! Want to create good muscle memory! Maybe check in with a sports doctor just in case! Q2: My daughter will be 11 years old in September. 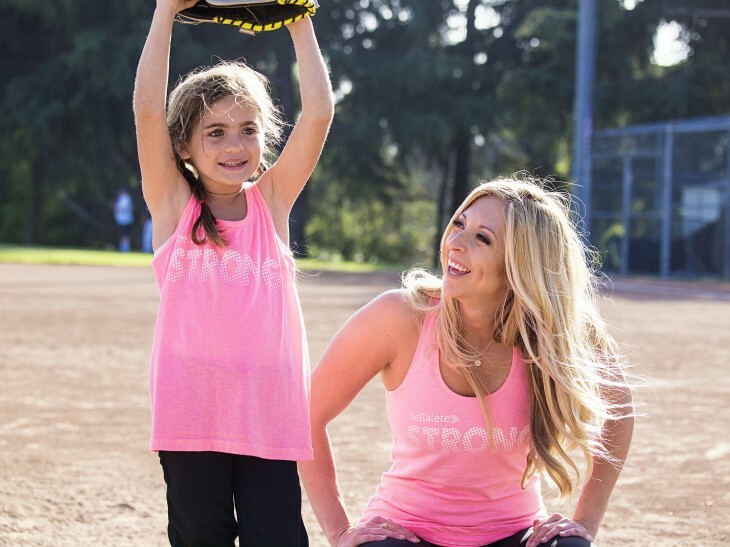 She has been taking pitching lessons for a year and a half. She is really good and continues to get better. However, She seems to be getting burned out. Any suggestions? A2: Keep it fun for her and keep encouraging her without putting too much pressure on her to go out and practice! Clearly she is athletic if she’s really good and is just getting better and better! Make sure to give her breaks, and make HER come to you about practicing and playing. If she is 10 and getting burned out already, that’s an early age for that to happen! Sometimes a player can be really athletic and talented, but they don’t always have the heart and passion to continue; it’s not THAT uncommon for that to happen! Remember that as she gets older, it’s only going to get more time consuming and the older you get, the more you have to sacrifice for lessons, games and practice! She is still young and growing, so don’t make any decisions quite yet, just see where her choices and heart take her! Q3: This might be a silly question…but my DD has only been pitching a year, and I’m sure we have a lot of things to learn about softball. But is there an actual training shoe or sneaker for pitchers for indoor pitching on turf. She wears her regular sneaker down on her front right toe from dragging it. Her cleats of course hold up really well to this. But around here we have to move practice indoors in the winter time so she is pitching on turf. This is really hard on sneakers….do they make something better built to handle this? A3: There used to be pitching toes that you could put on sneakers that we were able to put the shoe laces through to keep on the toe and cover it up! I would google search “Softball Pitching Toes.” If nothing comes up and they don’t make that anymore, my mom would just buy me the cheapest sneakers at WalMart or a sporting goods stores. They would be my “Pitching Shoes.” Not worth spending $100+ on a pair of shoes that will just get ruined. They weren’t the PRETTIEST shoes around, and when I was younger I didn’t always like wearing them, but totally understood that you’re going to go through sneakers FAST from dragging! Also – another suggestion you can put lots of duct tape over the toe of the shoe to help it hold up a little bit longer! Q4: Hi I have a 15yr old daughter that pitches a lot of inside pitches she been pitching for about a year and half, can you help? A4: For any pitcher, usually pitches that consistently miss too far inside is a true sign that your hips are getting in the way at your release. It’s so important at your release point that your hips are more “open” so that your hand and arm can get through the bottom of your pitch. When your hips get in the way and are “closing” too soon, then your arm hits your hip and causes the pitches to go low and inside. Your arm just can’t get through. So you can either a) speed up your arm speed or b) try to stay open longer to let your arm clear through. I would also encourage to have your catcher set up way outside to give her a different target and something to look for. Last thing, sometimes inside pitches are caused by falling off to the side before you release your pitch. Stay balance longer. For example: If you are right handed, don’t fall to the right BEFORE you release the pitch. Try to stay balance and on the “power line” for as long as you can through your release and stay balance at the end! Q5: We have watched you over the years and my daughter looks to women like you to compare herself. My daughter is soon to be 16 and she throws rise with the backward spin which in some places really blows others minds and batters get so frustrated. My question is can this spin be thrown as a fastball all the time? Or is it too hard on the body? She throws it all the time and starts it at the knees and if it breaks it breaks and if it don’t it usually gets a an infield pop-up or a little dink behind first, that second can get or right plays in. Just wondering if this is okay? A5: It’s always good to have good spin and a little bit of movement on your fastball. Really the NAME of a pitch is not as important as the ability to be able to get outs and throw it for a strike and throw it with command. If you have correct foundation of mechanics, I don’t see it being too hard on the arm. I honestly have never come across someone who has spun a “fastball” like that consistently, so I can’t tell you from experience if it will or will not hurt someone’s arm to repeat that motion thousands and thousands of time. The best thing you can do is to just monitor how it is making her arm feel and since she is 16, I would start icing her elbow and/or shoulder after games. Take good care of that arm, it is so very important for longevity in the sport. my daughter gets the pitching toes dipped through Hurler Athletic. They look perfect and are holding up fantastic. I pitched and/or have taught lessons for 25+ years. I threw my fastball with rise ball rotation and taught all my students the same. Never had any injury myself or from my students.